If you don’t know who Freddie Joachim is then perfect, you’re the audience I’m aiming for, and if you are already aware of his work then bump this for some added stimulation and keep reading. Freddie’s first solo album launched in 2008 entitled In With Time, followed by a number of features on compilation albums released by his co-owned label Mellow Orange Music or in collaboration with the music collective Organology. 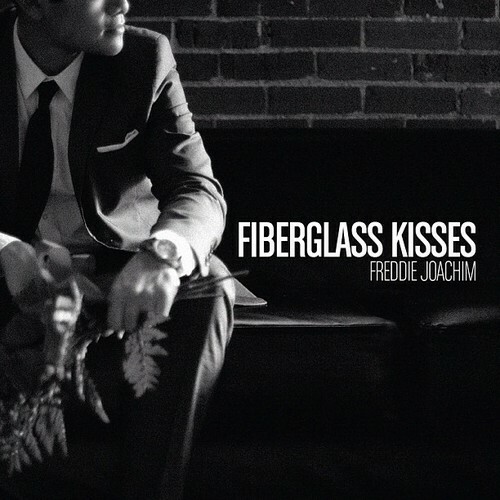 All in all Joachim has released four solo albums annually since his 08 debut, and the one I’m focusing on today is his most recent offering titled Fibreglass Kisses. To start off I should stress how sizable his body of work is. But, while his music is easily accessible online he always releases his tracks in small neat packages. Point being, if your new to his stuff you’re gonna have to look around a little to get a sense of his style, each album feels like a finger food rather than a main course. That being said Fibreglass Kisses is a fine place to dive into Freddie’s music. The track list comprises of twelve songs, six instrumentals and six with vocals. All of these tracks share qualities distinctive of Freddie’s production style: heavy synth use that providing a warped neo soul sound; smooth flowing melodies balanced with sharp kicks, crisp snares, and interesting bass lines; and a style layering of drums over tracks that gives a weird ‘slightly off’ tempo feel that works. Freddie’s sound production quality is without question top quality and his great ear for timing gives his instrumental tracks a greater sense of depth when listening. Despite all the praise this album warrants it does have some flaws. As the song list progresses his music does definitely have a formulaic quality that could wear thin on some, however that can also be seen through positive lens, indicative of an artist that’s found their own comfortable niche. Furthermore, the structure of the album as a whole lacks a thematic feel and fails to give a coherent sense of journey for the listener. And, while the 90 bpm range Joachim prefers allows a relatively seamlessly flow between most of his tracks, a greater attempt at storytelling to accompany such evocative music would have been welcome. All in all, this is another solid offering in a long line of Freddie Joachim albums. It maintains that distinctive blend of jazz, hip hop and synth and will provide a perfect chill out vibe for any upcoming lazy endeavours. Thus, while I do confess that in my opinion this isn’t Freddie’s best offering to date it should still nevertheless be a welcome addition to any fans collection. You may also want to have a peek at these reviews: Jack Reacher, Need For Speed: Most Wanted, The Master.